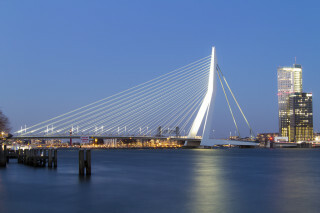 Rotterdam, a climate proof city? The Netherlands is already a feat of some impressive aquatic engineering with more than 50% of its land mass being at, or below, sea level. 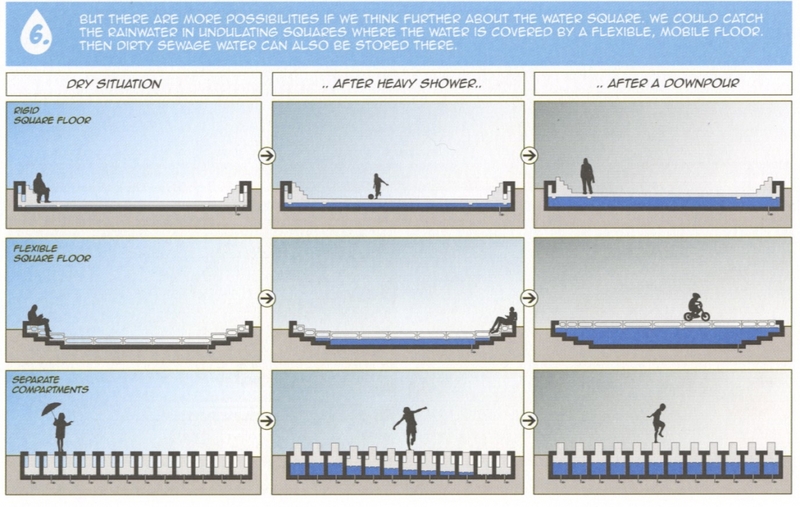 While the threat of rising sea levels and more extreme and unpredictable weather conditions loom overhead (a little like a dark ominous rain cloud), the famous port city of Rotterdam aims to tackle the problem of climate change head-on with some truly ground breaking (or perhaps “water breaking”) ideas. 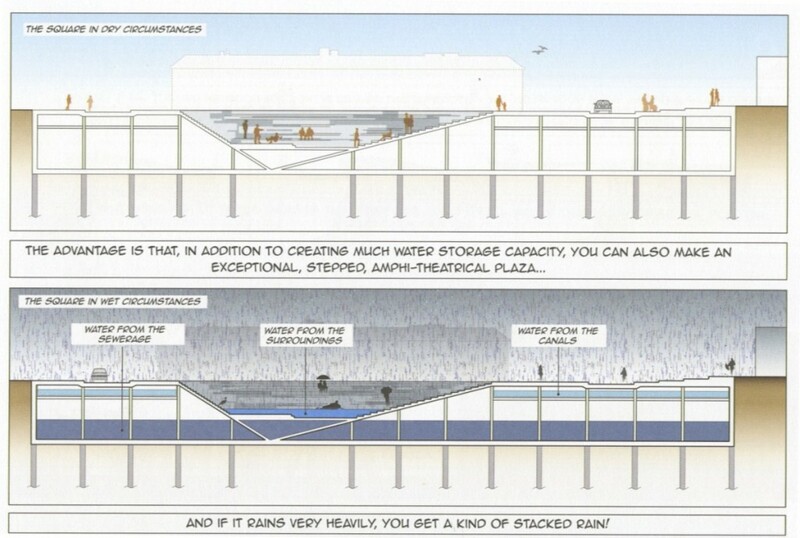 The “spongification” of Rotterdam includes pavements that will function as water plazas and fill themselves with water adapting to changes in rainfall, an underground parking garage with a detention basin the size of four Olympic swimming pools, and a planned 200,000 square meters of green roofs. 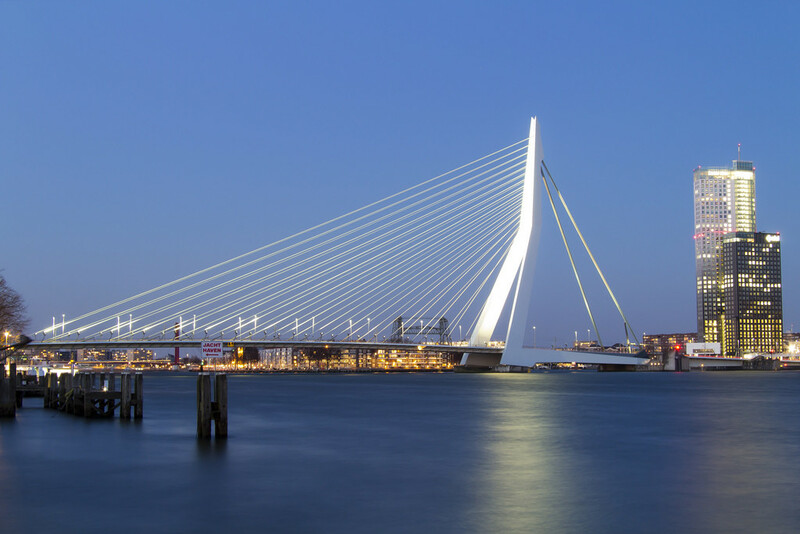 Rotterdam sees this as an investment in the future, and has opened up funding and subsidies in the area, hoping to become the world experts in and lead exporters of climate change solution strategies. It looks like the Dutch will continue their battle against the ocean – necessity truly is the mother of invention.